Disclosure: I purchased all of the items featured here myself. Naran is an independent Australian lingerie label founded by Caroline Naran, who previously designed for Pleasure State (the brand that made one of my favourite ever lingerie sets). She’s also an artist, creating the beautiful prints that are used on some Naran pieces herself. I’ll be honest, I hadn’t even heard of this brand until I spotted them on a flash sales site last summer. I just know that I immediately loved what I saw enough to buy a whole bunch of pieces. Unfortunately, because I ordered these so long ago, most of what I’m going to show you is no longer available. 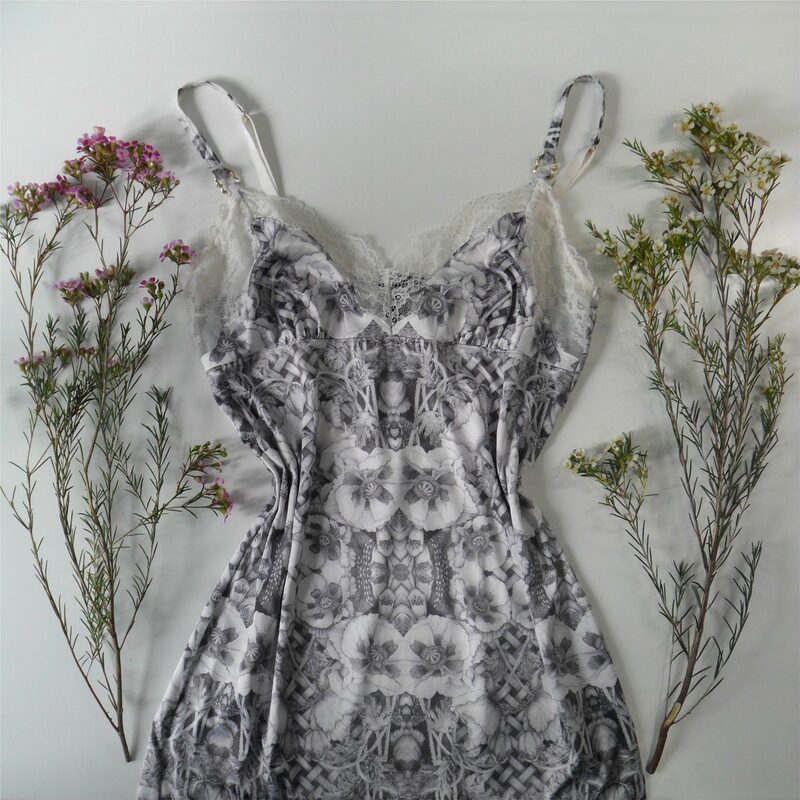 However, the longline Ebony set is still for sale (also in cream), and the current Enchanted Garden chemise has the same construction as this grey one, just in a different print. The grey pieces here all seem to come from the same collection, with three variations on the same design idea. The artwork on the chemise is printed onto smooth, stretchy, lustruous fabric that is just a dream to wear. If you look closely at the Ebony longline bra set, you’ll spot that the jacquard fabric actually features the same pattern. And then the other, silvery-grey bra has ribbon latticework that imitates the print, topped with a stunning, embroidered floral appliqué. That last bra is my favourite of them all, and I’m half kicking myself for not buying the matching bottoms. I just didn’t really like them, so I think at some point I’ll hunt down a pair of satin tap pants in the same colour. This one is a push-up plunge bra, whereas the Ebony longline is moulded but doesn’t have push-up padding. The last bra set, which is also a push-up plunge, has undoubtedly my favourite print. The fuschia, azure and leafy green just looks so fresh and vibrant. I love that, like the print on the chemise, it combines together hyper-realistic florals with graphic symmetry. Digital floral prints are absolutely one of my favourite things in lingerie, they are just so detailed – literally a wearable botanical artwork. Regular readers will also know that I’m a sucker for fancy hardware, and Naran does not disappoint on that front. All three bras and the chemise feature their signature, elegantly-curved strap connectors. 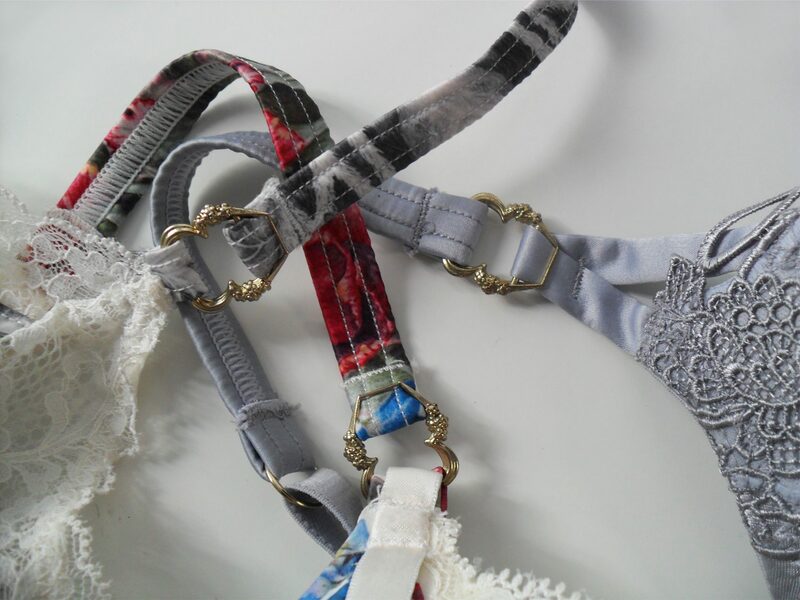 The straps themselves are all made from a combination of satin elastic and elastic wrapped in the primary fabric. Naran’s sizing starts at a 32-band (10 in Australian sizing) so I ordered the three bras in my typical sister size of 32D. The knickers, thong and chemise are all a size Small. The floral and ribbon-lattice bras fit true to size – perfect in the cups, a tad loose in the band since I really need a 30. The Ebony longline bra also has a perfect cup fit but feels tighter in the band, and when I lay it out flat it’s a couple of inches shorter than the other bras. That works out perfectly for me, but bear it in mind when picking which size to buy. The knickers and thong both fit me like a glove, and are stretchy enough to also fit a size up, a UK 8. The chemise also fits me well but is quite roomy, I think the Small could even fit a UK 10 if you wanted it figure-hugging. And there’s definitely space in the cups for someone with a much larger bust. All in all, I’m very impressed by Naran. Although I wouldn’t quite go so far as to say this is a luxury brand, it’s definitely a higher-end and very good quality one. Creating your own fabrics is very expensive, and these ones are lovely. 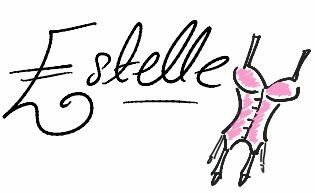 All of the main fabrics here are polyester, but they do feel wonderfully soft and silky. The lace trims are French, and are also very comfy. I’ve worn the chemise to bed in total comfort. The Ebony longline bra is currently on sale for 70 AUD (~£38 / ~US$50 / ~44€) and the thong for half that. It’s down from an original price of around £97 for the set. There’s also a Brazilian brief available. The similar Enchanted Garden chemise costs 119.95 AUD (~£65 / ~US$85 / ~76€). The brand seems very reasonably priced for the quality you’re getting! Had you previously heard of Naran? I feel like they’re not that well-known outside of Australia, but maybe it was just me who missed them. And what do you think of the designs? I’m currently lusting over the Alchemy bralette. I live in Australia and have never heard of this brand! Am a little sad bands don’t go down to an 8, but will definitely be taking a peek at the chemises. Definitely think they should step up their marketing, they have some fantastic products that should be better-known!